It’s Halloween in the city! That time when we all dress up, trick or treat, eat, dance and be spooky. If you’re at a loss for what to get up to this Halloween, don’t stress. We’ve rounded up a few of the top Halloween events for both party-goers and families this year. 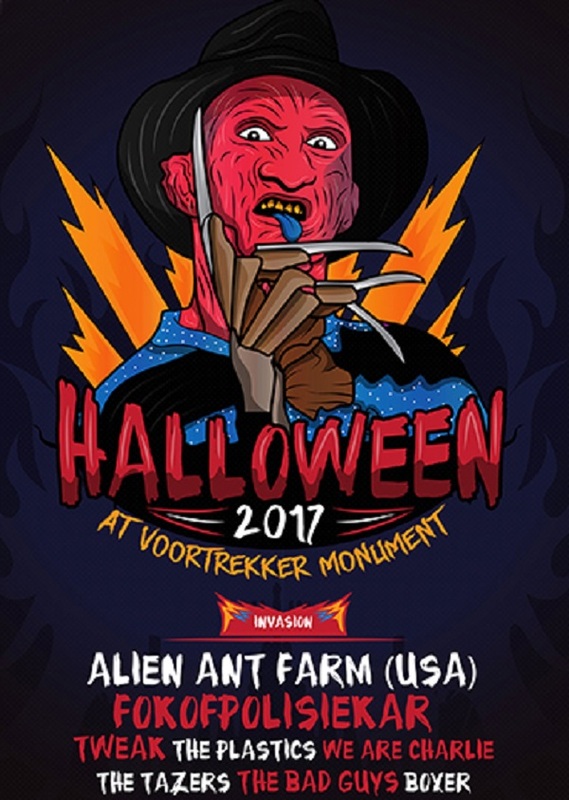 The annual Halloween party at Pretoria’s Voortrekker Monument is always worth the trip. This year they’ve got three stages with a list of acts that’s almost too good to be true. Expect good food, good drinks, and a whole lot of drunk folk playing dress-up. If that’s not enough to get you interested, Fokofpolisikar, PHFat, and US-based Alien Ant Farm are just a few of the acts you can dance the night away to. Get your tickets now! Dates and times: October 28 at 4pm. Not the dress-up and party type? That’s cool. You can always head through to Foto ZA’s Rosebank gallery to check out their new, spooky props and stage your very own Halloween-themed photoshoot. Bring your friends or kids, bring your camera and bring your best Zombie smile! Dates and times: October 27 at 10am. Ends October 31. 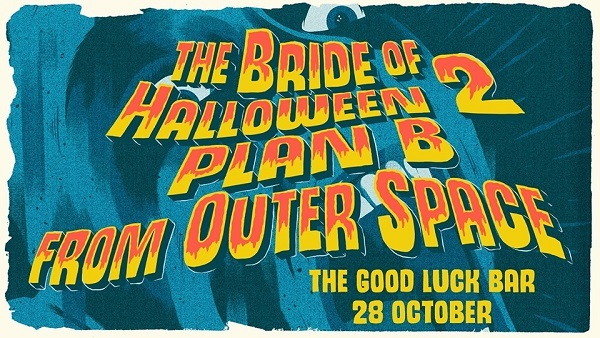 This Halloween, The Good Luck Bar’s going retro with a spooky, old-timey cinema-themed party. Besides drink specials and a reduced entrance fee for those who dress up, you can also catch Black Cat Bones, The Fake Leather Blues Band, Kabaal klankbaan, and Wolfgang Marrow on stage. Bring your best looks and get ready for a Halloween party that’s sure to bring the horror. 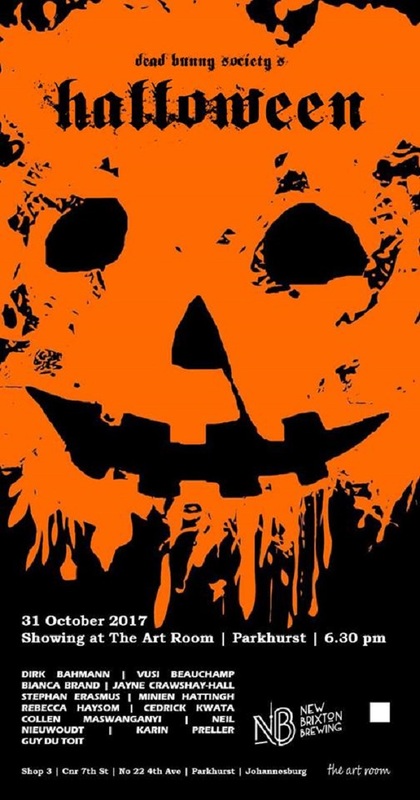 Looking to spend Halloween with a classic evening of trick or treat? 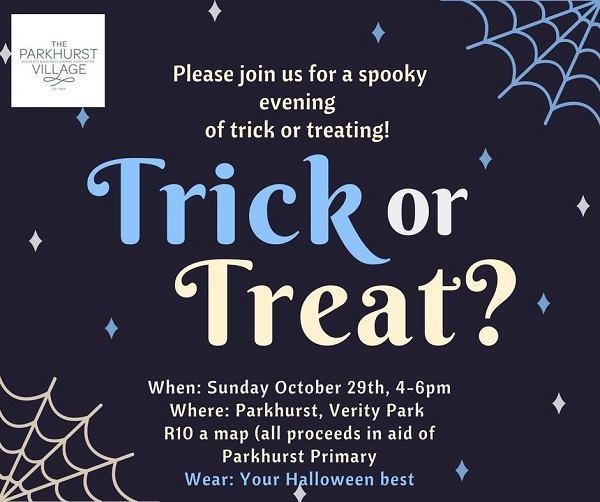 Head through to Parkhurst for their annual Trick or Treat walk for a night of costumes and candy for the whole family. All donations go to Parkhurst Primary. This one’s for the truly-committed costumers. 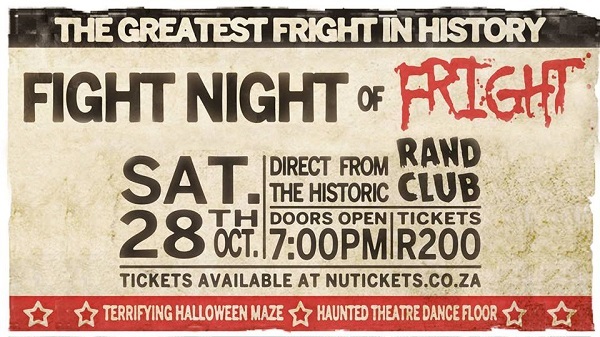 The Rand Club’s throwing a Halloween bash that’s all about good times and great costumes. Prizes are on offer for the best-dressed and partygoers will get the opportunity to explore the burned-out top floor of the club before plunging down to the depths of the building for a party in the gothic basement of the venue. Sounds cool, right? Better book your tickets here, they’re not selling at the door! Looking for something that’s both fun and informative, while still managing to get a little spooky? Why not take a trip on the Mystery Ghost Bus? Comprising a night of haunted houses, audience participation, pub stops, and more, the Mystery Ghost Bus also aims to inform its riders of the history of the annual spooky event. Bus ride take place in Cape Town, Durban, Pretoria, and of course, Joburg. Find out more info and get your tickets here. 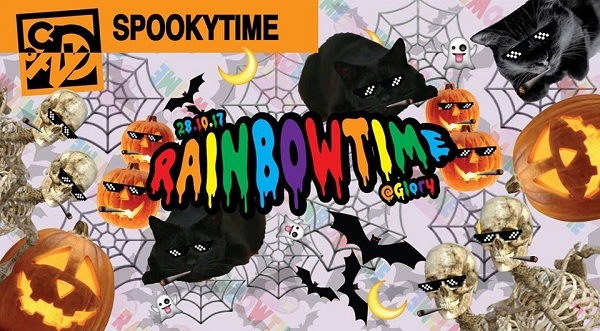 If you’re hoping to spend your Halloween dancing into the dark, Rainbow Time’s spookytime event at Glory is just the thing. With DJs such as K. Dollahz, The Sartists, Digibabe and more, there’ll rarely be a moment when you’re not on the dancefloor. Need some incentive? The first 30 people to arrive dressed up get free shots! Dates and times: October 28 at 3pm. Amidst all the parties and spooky tours, why not stop by The Art Room to check out some Halloween-inspired works? An exhibition by the Dead Bunny Society, you can see works by Dirk Bahmann, Vusi Beauchamp, Bianca Brand, and more. The first 10 people to arrive also get a free micro-brew from Brixton Breweries. Dates and times: October 31 at 6:30pm. Ends November 4. Check out more of our events here.